The fire at Frager's near Eastern Market earlier tonight. Its sad to see a business thats been around for so long struck by such a tragic event. I overheard one person mention that he heard an explosion just before the fire started. 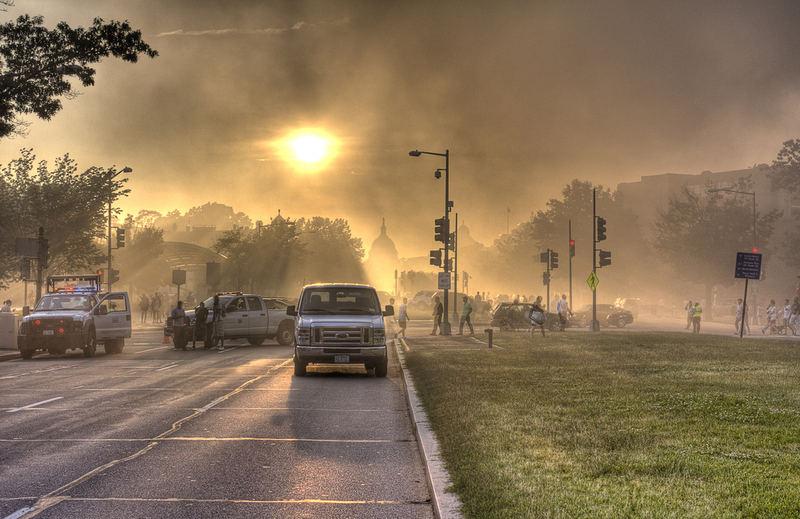 The fire kept many blocks of Pennsylvania Avenue closed for several hours.